Hiding Assets is very easy too do! Outside of the emotional aspects that surround divorce, the next hardest part of this type of proceeding is the division of the marital assets. When it comes to money and other assets, either spouse can be under the belief that they are entitled to more than the other. Because of this, it is becoming more common for one spouse to try to hide assets before and during a divorce. Individuals who suspect their spouse might be up to financial mischief may do well to research helpful resources to better equip themselves for. Reviewing a legal site like www.tennandtenn.com, speaking to your local banker regarding your personal accounts, or any slew of actions can help to bring peace of mind. Below are 5 Tell-tale signs your spouse may be hidings assets. 1) Post Office Boxes - If you discover that your spouse has a post office box or box at a shipping center in their name only, it is a distinct possibility that they are receiving financial documents that they do not want you to see. This is very common for people who are also trying to hide companies that they own or real estate investment paperwork. 2) Legal Paperwork Push - If your spouse approaches you prior to filing for divorce or during the initial divorce proceedings with a handful of legal paperwork that you need to “just sign to get this over with” and you do not really know what they are, it is most likely that they want you to sign off on certain assets without ever knowing you had an ownership in them. This usually comes in the form of a heated argument, the spouse signs without looking, and the asset are then protected. 3) Changes In Reportable Income - This is very important in self-employment situations and those where a spouse is a business owner. Large changes (decrease) in portable income without precedent can signal that money is being diverted somewhere other than into the marital bank account. 4) Monetary Gifts To Family And Friends - Many soon-to-be ex-spouses will start “giving” family members valuable gifts such as artwork, jewelry or money gifts before they decide to file for divorce. This is an attempt to stash their assets until a later time. These gifts, by law, are legal if they are reported on your taxes, and can be re-gifted back under the same guidelines. A sneaky spouse may tell you that they need to reduce the tax burden by making these gifts, only to find out later they were hiding assets while emptying the accounts to say they had nothing of value during the divorce. 5) Only One Person Controls The Money - While it is not uncommon for only one person in a couple to sit down and pay the bills or manages the finances, it is uncommon for the other spouse not to have a clue of what is taking place. If one spouse exclusively handles all of the finances and will not allow the other to see bank statements, credit card statements, or other financial documents, there is a problem. 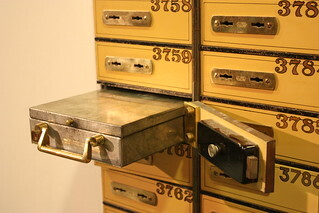 Financial documents stored in a safe or safety deposit box that only one person can access should also be seen as a warning that assets are being hidden. In New Hampshire, the Court will start under the presumption that the marital assets are divided equally. However, the Court will also hear arguments from both sides about the division of assets and what each party believes they are entitled to and why. Then the Court, based on these arguments, will divide the marital assets in a manner which is fair, even if it is not exactly equal. Jamica Bell is freelance writer and blogger. She has recently heard of several divorces where one of the spouses was hiding assets from the other.Divorce can be a difficult event for any couple. However, fighting to find hidden assets can only add to the stress of this challenging time. We would like to thank Jamica Bell for sharing this information on hiding assets. To return to the top of the page about Signs Your Spouse May Be Hiding Assets click here. Thank you for reading this article. Please feel free too share it with your family, friends and your social network.